It doesn’t matter if it is your very first time buying a used car, or your tenth – the used car marketplace can be full of shady people who are intent on making a buck off of your misfortune. Most, if not all, used car dealerships perform a checklist of sorts on the vehicles they end up selling. A good dealership won’t offer a car for sale that doesn’t pass this basic test for proper function, while an unreliable car dealership might. As the dealership is taking your potential future car for a rigorous test run prior to selling it, so should you perform the same stringent test on whichever dealerships you choose to buy your next car from. When it comes to buying used cars, Albany, NY residents know that their best bet for a high-quality pre-owned car, truck, or SUV is with DePaula Used Cars. For everyone else – how do you know if you can trust that the pre-owned car you want to buy is a good apple, and not one full of worms? Can You Trust a Used Car Dealership? Do I feel comfortable at this dealership? Are the employees listening to what I need, or simply trying to push their own agendas? How aggressive is my salesman? Is this dealership setting me up for a game of back-and-forth haggling? Does the inventory seem well kept and generally high quality? If you ask yourself any of the above questions and get a resounding NO!, you might want to consider a different location. If the used car lot you find can’t fulfill even these most basic of principles, it’s likely a signal to move on to your next available option. Buying a used car can leave you open to the possibility of a lot of unsavory things. Being taken advantage of, getting ripped off, buying a car that is a known lemon, and so on. 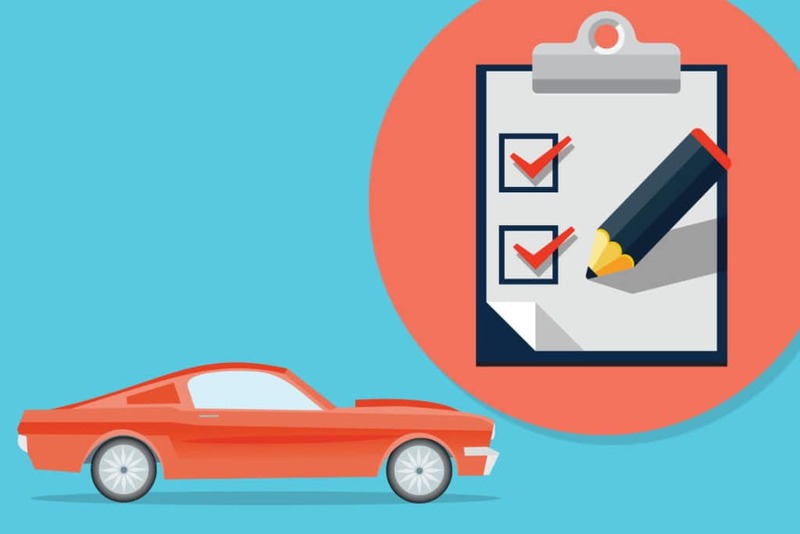 The best way to protect yourself against all of the potential negatives is to bring your own inspection checklist with you to the used car lot of your choice. While you may be able to memorize most of it by the time you head in, still bring the piece of paper along with you. Not only will this help you remember each checkpoint to address, but it will also show the used car dealer that you are serious about finding the highest quality used car available. Print this out, write it down – whatever you need to do. Just commit to bringing it with you on your next visit to the car dealership, and set yourself up for the best possibility for a successful pre-owned purchase. Causes for Concern: If you answer YES to any of the following questions, you might want to consider a different car. While these aren’t deal breakers, per se – they can be signs of future trouble. Is there an owner’s manual included with this vehicle? Are there service history records available? Is the exterior paint faded, chipped, or otherwise damaged? Is the interior dirty or otherwise neglected? Does the climate control system blow warm air when turned to the A/C setting? Do any of the car’s basic accessories fail to turn on or work properly? Are there any signs of fluid pooling on the ground beneath the car? Does the air filter appear overly filthy? Look at the battery: Does it have seepage, build up, or a date that is older than four years? Do the “warning lights” fail to turn on when you turn the key to the “on” position? Do any of these warning lights remain illuminated once the car has started? Does the car jolt or clunk when you switch over to DRIVE or PARK? During the test drive, do you hear any rubbing or clunking noises? Slam on the brakes: Do they respond accordingly, or do they feel soft and unresponsive? Drive over a curb: Does the car bounce up and down more than once over small bumps? Drive it on a highway: At higher speeds, does the vehicle vibrate? Does the vehicle pull to one side despite your steering efforts? Is there noticeable smoke coming from the engine? Ask a friend to follow your test drive: Do the rear wheels seem shaky or otherwise unstable? After the test drive: Is there a hissing noise under the hood? Are there any new fluid leaks after a test drive? While these are just a small sample of markers for potential issues, one or two are not typically cause for immediate concern. If more than a few of these elicit a YES answer, then either walk away from this particular vehicle or have it inspected by your own mechanic prior to purchase. Deal Breakers: The list above outlines things that may not be ideal for a used car, and that will likely require minor repair work. The following list, however, is quite the opposite. If you answer YES to any of the questions below, seriously consider a different used car. Ask for the title: Does the word SALVAGE appear anywhere on the paperwork? Does the vehicle show extensive exterior rust? Pull out the oil dipstick: Is it gloopy, black, or otherwise sludgy? Does the oil smell like gasoline? Pull out the automatic transmission fluid dipstick: Does it have a burning smell? Does the interior of the car smell like mold, or rotten eggs? Look in the glovebox: Does there appear to have been past water damage? On your test drive: Does it sound like someone is inside the engine “knocking” to get out? Does the car feel worn out during the test drive, rather than responsive and agile? Finding a used car you are excited to buy, only to find out it’s a dud can be disappointing. As long as you don’t let that disappointment convince you to purchase a faulty used car, you will be fine. Bottom line: When in doubt, don’t buy it!